The close of It’s In the Cards Week brings us to one of the most famous and beloved examples of card-based games ever published – Castle Falkenstein. Though the poker-deck mechanics were a bit difficult for many to wrap their heads around, the setting carried the day as one of the earliest examples of steampunk at the RPG table. 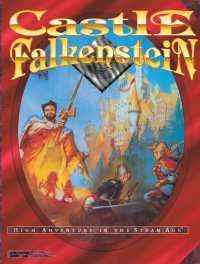 The game lay fallow for quite a while, but Fat Goblin Games revived it with an entire line of products dedicated to updating and expanding the Falkenstein experience.